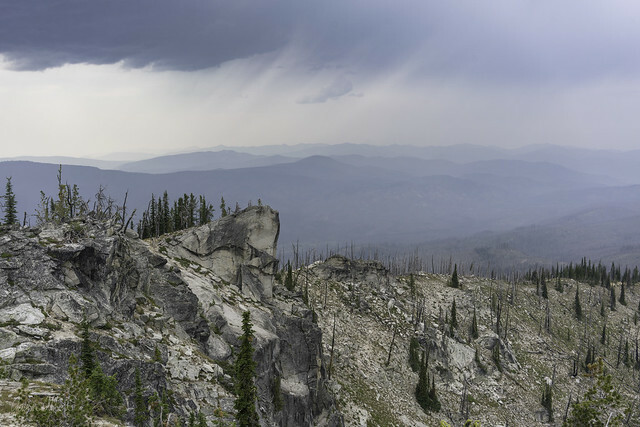 Ridge rain | Flickr - Photo Sharing! The three of us stay until the raucous bunch have left to continue their travels. It was fun to meet some folks but also nice to stand quietly and hear only the wind in the trees. Clouds on the horizon appear smeared towards the ground as wind picks up. It seems rain is on the way. “We could wait it out inside,” Jeremy suggests, nodding toward the lookout. It sounds cozy but I’m a little worried that plan could have us stuck here too long.